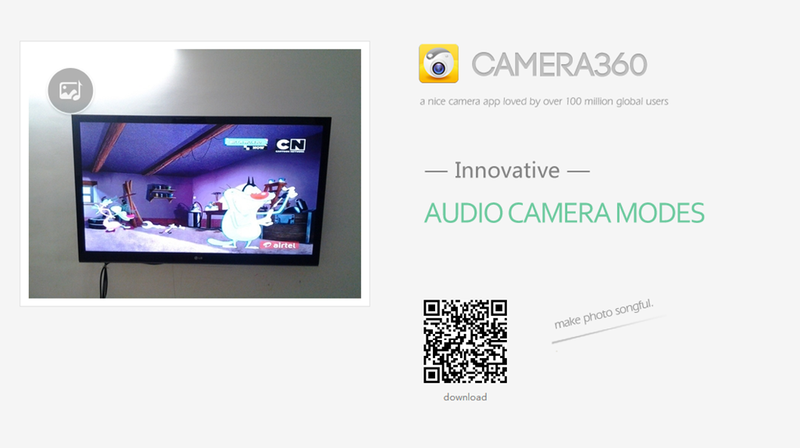 Camera360 is one of the popular camera app in WP8, iOS and Android. One of the greatest feature of Camera360 is applying filters in real time. Also it has an awesome simple user interface. A new feature added to this camera app is Audio capturing along with the photo. It is available to download from Google Play and The App Store. As of now no audio camera support for Windows Phone8, hope it will be added in the future release. The Audio Camera tool will help add to all the emotion and drama that is captured using the Camera360 app. The new feature enables users to record and collect the final 5 seconds of sound before a picture is taken and save it along with the image. To prevent additional audio files being saved alongside the actual photo, everything is compacted into one JPEG file saving plenty of space and memory on the smartphone or tablet. with the launch of Audio Camera, Camera360 will help you truly restore the moment and emotions of precious occasions such as when your girlfriend says ‘Yes, I do!’ at that magic moment and also when your classmates says ‘Cheese’ when you graduated from university. Despite the introduction of Audio Camera, users can still use the Camera360 app to share all their favourite moments with the world with just one or two clicks. As both the image and sound can be found in just the one file, the audio photo can be uploaded directly from Camera360 to social media sites such as Facebook, Twitter and Flickr and shared with friends and family. For those wanting a safe place to store all their pictures, they can also head to www.camera360.com/cloud where users can store pictures and build up a collection of to depict all of someone’s social and personal highlights. To share the audio photo to social networks, go to Camera360 settings –> Share settings then authorize Camera360 with Flickr, Facebook, Twitter, etc. After you successfully binded, open the photo in Camera360 explorer by clicking the square (with the last photo taken) on your bottom left hand side. 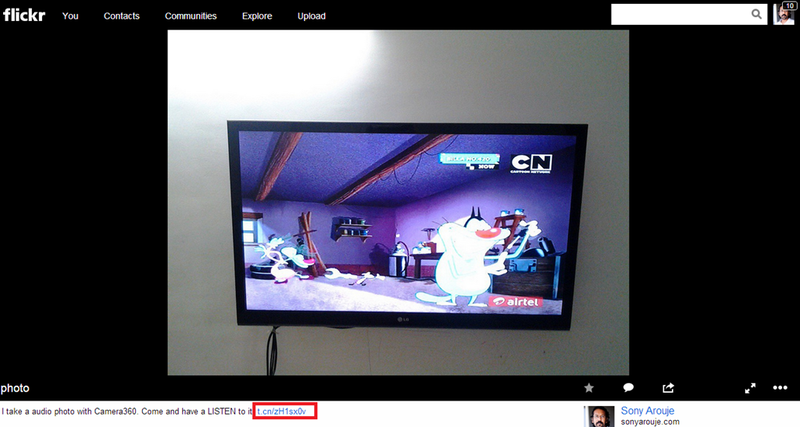 From the photo explorer, click and open the photo with audio, once the photo is open you can see a Share button. 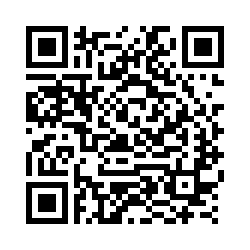 Click the share button and share it with your friends. 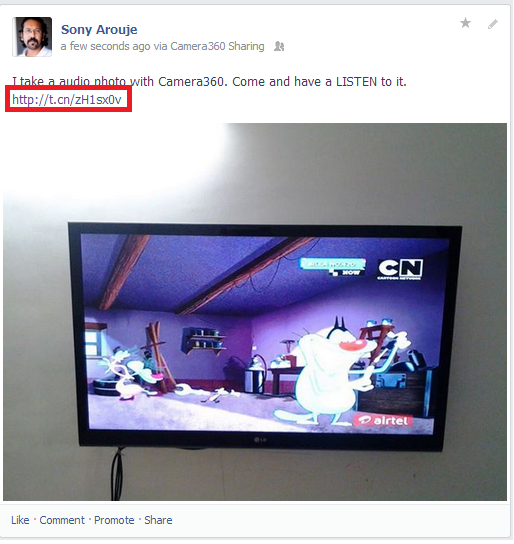 Your friends can see the photo in the social networks with a link as shown below. when the user click on the link it will redirects to Camera360 page and can hear the audio embedded in the photo. Give it a try and leave a comment about how you all feel about Camera360. I started spending more time in mobile photography after I bought my Lumia 920. I experimented with different photography app and one day I saw Camera360 in the store and thought of giving it a try. Then onwards I was in love with Camera360. One reason I was so impressed is it’s simplicity and applying different filters in real time, the big plus factor is, yes it’s free (If it was not free then I will definitely buy it). I would say I become a big fan of Camera360, have a look at some of the photos taken using Lumia920 and for most of the shots I used Camera360. Recently I came to know that Camera360 crossed 100 million users across iOS, Android and Windows Phone. It’s a big win for Camera360, it’s the first mobile photography app that crossed 100 million users around the world. Check out the press release here. To my fellow mobile photographers, don’t forget to try Camera360 and please leave your experience with me in the comment section.